The biography is based on a large number of interviews and other books about Piazzolla. Together with the late Simon Collier, Professor of History at Vanderbilt University, it took Mrs Azzi seven years to collect and meticulously reconstruct details and events of Piazzolla’s complex life. 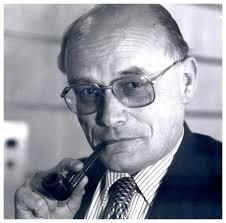 It was Mr Collier who, not long after Piazzolla’s death, approached Mrs Azzi with the proposal for a biography. A British-born historian, Simon Collier’s prime academic focus was on Latin American studies and, in particular, Chilean political history. But it was his passion for tango that had led him to write a well-regarded biography of Carlos Gardel in 1986, in which he uncovered the intertwining of tango and the history of the city of Buenos Aires. His knowledge of tango turned him into a contributor to the tango history collection of Harlequin Records, for which he wrote twenty sleeve notes. By the time Mr Collier came forward with his idea for a Piazzolla biography, Mrs Azzi had already established herself as one of the few academic experts on the subject of Argentine tango. She had published a respectable number of research papers and articles, and she had given numerous lectures on the topic. 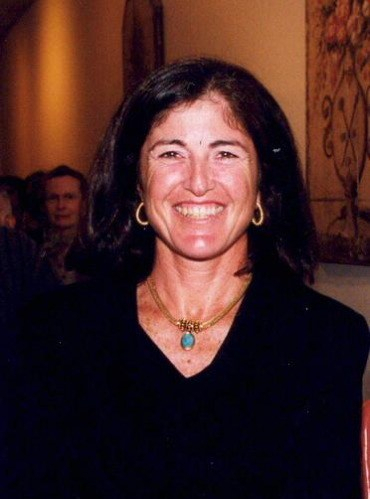 As a cultural anthropologist her main interest in tango lay in its socio-economic aspects. “Tango can be seen as a huge window into the social economics of Argentina,” she told me when I spoke with her earlier this summer. Not long after she and Mr Collier began their research work for the Piazzolla biography, it became clear that Mrs Azzi would end up conducting the majority of the interviews. She worked with about a thousand informants and consultants on the subject of tango, and conducted two-hundred and thirty of the two-hundred and forty interviews for the book. In the end, the duo’s extensive research had to be condensed to three hundred and sixty pages, but they revealed an astonishing number of facts and little-known details about Piazzolla’s life, all of which contributed significantly to his groundbreaking work. For a wonderful foreword Mrs Azzi interviewed Yo-Yo Ma, the world-famous cello player, widely known for his admiration of the grand tango master and who has performed and recorded many of his pieces. The book begins with a detailed chronicle of Piazzolla’s family, infused with anecdotes about his early childhood in Mar del Plata in the midst of a closely knit Italian-Argentine community, followed by his rough upbringing on New York’s Lower East Side after his parents had emigrated to the United States. Then there are descriptions of encounters with some of the most influential tango musicians of the Golden Era of Tango — Carlos Gardel among them — many of whom, intentionally or unintentionally, left an impact on young Astor. As a teenager, Piazzolla developed a strong interest in jazz and classical music, at the same time as slowly discovering the soul of tango. Encouraged by his composition teacher in Paris, Nadia Boulanger, his passion for all three genres ultimately led him to develop his own modern tango style, which was demonstrated by three notable groups: the Octet (1955), the first Quintet (1960), and the Nonet (1971). By the mid-fifties he had taken tango to a whole new level and had begun to compose in a unique style. Now, also established as a sought-after bandoneonist in Argentina, he had played with some of the most important tango orchestras of the time, most notably with Anibal Troílo’s Orquesta Típica. “He was,” says María Susana Azzi, “a musician and a genius who combined classical music and tango, which is difficult. But he didn’t think of himself as a genius.” By the time of his death at age seventy-one he had composed a vast body of three-thousand five-hundred pieces of music, including orchestral works (Concierto Para Bandoneon), pieces for solo classical guitar (Cinco Piezas), song-form compositions (Adíos Nonino), and music for film, and was considered one of the most prolific composers of all time. He was not a political person, but ‘an anti-Peronist’ adds María Susana Azzi. The Argentine anthropologist seems to have become as intimate with Astor Piazzolla as some of his family and friends who knew him personally and closely during his lifetime. Just like Piazzolla, with whom she shares Italian roots, she considers herself a typical result of Argentine society. “Argentine society has always been a melting pot,” she says. “It is an inclusive and open society without ghettos.” Le Grand Tango, even though not an authorized biography, quickly became a recognized resource for Piazzolla fans. Mrs Azzi, who has during the course of her research, become close to the Piazzolla family, mainly his daughter Diana, says the family appreciates it. After a complete re-edit of the republication, Astor & Lenox published the anniversary digital edition last February — just in time for the twenty-fifth anniversary of Piazzolla’s death on July 4. Mr Clarke says that he is considering publishing a print edition. An expanded Spanish edition is also expected to come out soon. 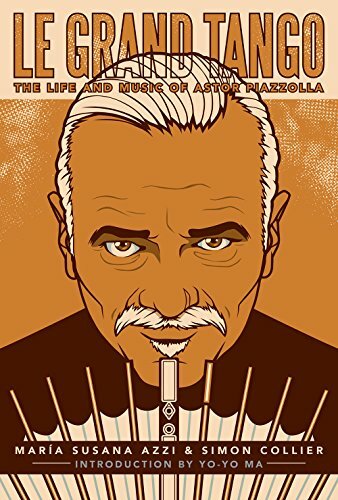 The updated and expanded digital version of Le Grand Tango: The Life and Music of Astor Piazzolla by María Susana Azzi, published by Astor & Lenox is available online. Very interesting and thank you for this review. Kate Collier, Simon’s sister. Dear Kate Collier, I’m happy to say that your brother’s book is as significant as ever! So glad to hear from you here! I have enjoyed reading your review of the updated version of Le Grand Tango and think that Simon Collier would have been very pleased to know that the book is still vibrant. Dear Susan Cross, the book is indeed very vibrant! I just received another inquiry from a Piazzolla fan. Piazzolla was my first tango love! I look forward to reading your book. Hi Andrea, my name is Bernardo Gonzalez. I’m very interested to acquire the book “Le Grand tango” published by Astro and Lennox. Unfortunately, I could not find it. Could you give some information about how to buy it. Thanks for your help and for your blog 🙂 All the best!! !